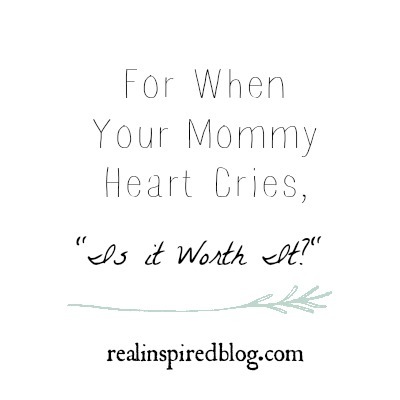 Real Inspired: For When Your Mommy Heart Cries, "Is It Worth It?" For When Your Mommy Heart Cries, "Is It Worth It?" Well, here I am. I'm sitting here rather pregnant and I'm tired of it. 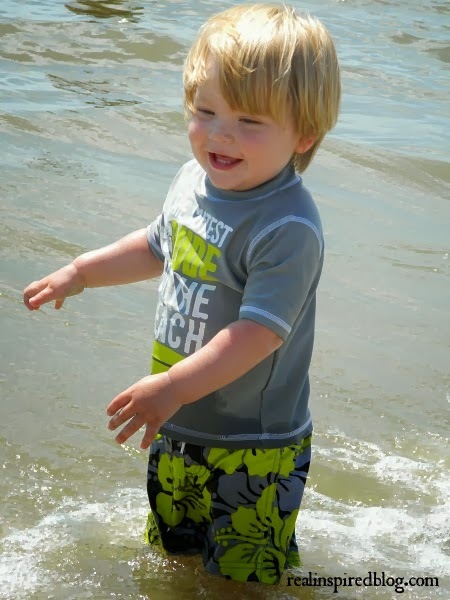 I'm achy, sore, and, for those of you who have been where I am before, I don't have to inform you of all the discomforts that come with 39 weeks gestation. And just when I start thinking I'm ready because I cleaned my room and packed my hospital bag, I remember all the other projects that I haven't gotten to yet. I still need to hang the nursery curtains, sew pillow covers, and hang pictures. Remember this post? Yes, my kitchen stuff is still in the living room because the kitchen floor is about to be replaced. But I am still feeling antsy. But I'm nervous. Because the closer you get to labor, the more you remember the last time you had to go through it. Bits and pieces of memories come floating back. Especially that back labor. And you start to wonder, is it all worth it? You wonder how you could possibly love two little people so much. 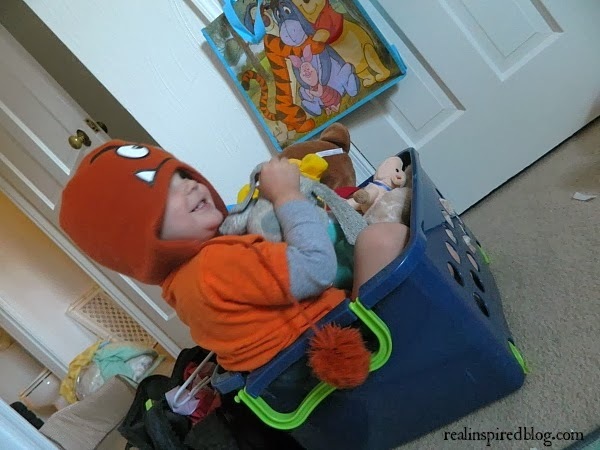 You see your first little man and wonder how he will deal with a new baby. You grieve for the relationship that will change because it will no longer be just the three of you exploring life together. You wonder if you can deal with two of them. Two of these wonderful, energetic, little stinkers called boys. But I know it will be wonderful. Why? Because there is nothing better than being Mama. 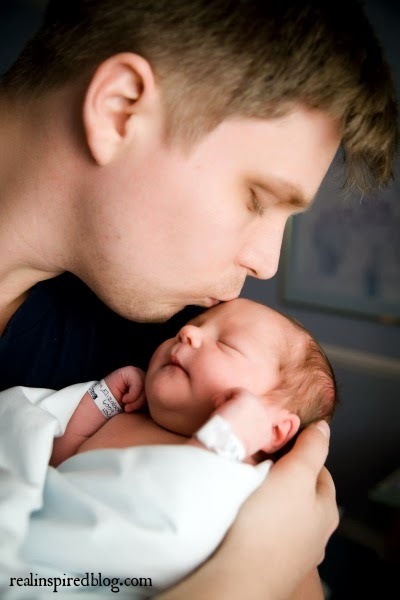 Because there is a special way that a newborn melts into your arms. Because there is something about the way a little boy asks for "mommy cuddles." And so I remind myself, as I sit here waiting that, yes, it will all be worth it. To all the one-day mommies, and first time waiting-on-a-baby-as-we-speak mommies, I say to you that it will all be worth it. And all the mommies like me that are still figuring it out, they will join with me in telling you that it is worth it. Yes, you will be sleep-deprived. You will be pooped on, peed on, and thrown up on, all while feeling the pressure of a hundred eyes on your parenting skills when you're out in public. There will be times when you have to step away from the crib for your own sanity and your sobs will mingle with the sounds of theirs. Because mommies should have all the answers and be able to fix every hurt. There will be gassy tummies, and fevers. And there will be those times when you accidentally conk their heads as you get in the car. Your heart will break over enforcing that time-out. And you will feel like the biggest mommy failure ever. To your little ones, you are the world. And they are yours. So give them love. Give them grace. And show it to yourself too. Enjoy the quiet moments, watch them sleep, and leave that cobweb in the corner for another day. When they want you to chase them around with a blanket over your head, do it. They're only little this one time. And we don't get do-overs.